Dennis(D) and Cheral(C) reside in Northeast Ohio. They have the best four adult children and eight terrific grandchildren, ever. They both work full time, but in their spare time they talk and dream. Their first novel, Capitol Angst, is one of their dreams. As conspiracy theorists, their ideas cover a myriad of possibilities. From local businesses to government, from the neighbor down the street to the very President of these United States, no person is safe from their theories. Get on the fast train and prepare for the ride. Capitol Angst may just wake you up and remind you what may actually be happening, right in front of you. Watch the times, they're crazy, right? Our books are psychological thrillers, at their best. You want the day of judgment, the end times, destruction at all levels, then you've come to the right place. Care to join in? Come along for the ride. You'll probably read these books and say I knew it, they're right. I guess I'm a conspiracy theorist, too! Is it really a conspiracy, though? If so many people think the same way, than doesn't that turn it from conspiracy to real? You be the judge, and let me know. Just blog us, and we'll talk. 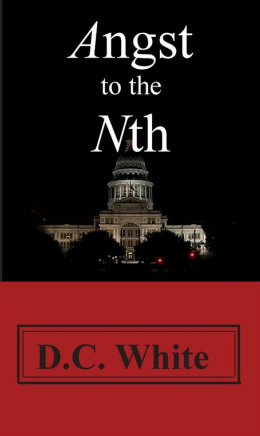 Book One: Capitol Angst- America’s caught up in a vortex: a horrific murder, chaos, and rampant corruption in politics and at the highest levels, mixed in with our politicians, create CAPITOL ANGST. After a surprise attack occurs in Congress, a murderer taking out one congressman a week for a month, D.C. Metro One police murder , Lieutenant Kathleen Thomas (KAT) joins rank with not only the Capitol Police and the FBI, but with a Special Ops unit, in a race against an unknown force. Will this be the last chaos? With government corruption and multiple murderers’ blamed, they all come to the conclusion that this fits the terrorism criteria. Soon, D.C. becomes the most dangerous place to be in the United States, if you’re an elected official, that is. After a couple of near death experiences, the group has more questions than answers. Maybe the question should be, who in an elected position, would benefit from these murders? After uncovering a diabolical plot that encompasses more than just the United States, Kat and her cohorts are appalled. This can’t be happening. The people of the U.S. are in trouble, especially if all that's been promised them, comes true. 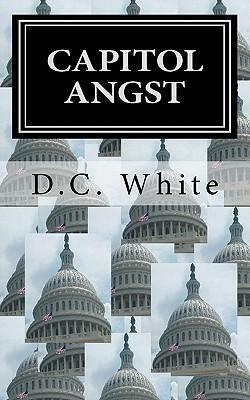 Welcome to the land of chaos, Capitol Angst, book one in the Angst Trilogy. The new psychological thrillers by D.C. White. Book Two: Angst to the Nth-A continuing saga from book one. Kat, Snake and the Callander Quads are back, but will they be able to stop the corruption that's overtaking the world. Will Jane do all she promises? With total destruction in so many areas, is there anywhere in the United States that's safe? What is corruption, really? Is the corruption in law enforcement, too? With the very top of the country corrupt, where can you go to stop the madness? Are the signs of the times really prophetic? Is everything that's happening been foretold? With all the destruction that's occurred, are we actually facing the the day of judgment? The actual apocalypse? Are these the end times?